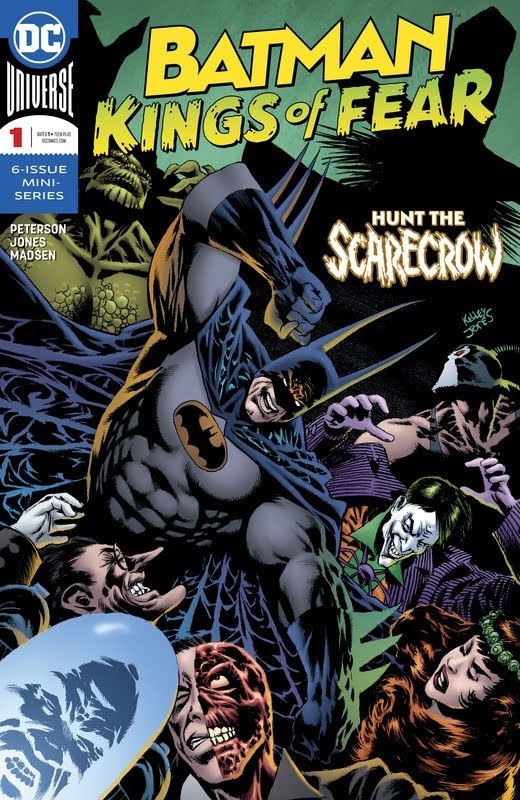 Legendary artist Kelley Jones makes his triumphant return to the Dark Knight in this explosive miniseries written by former BATMAN editor Scott Peterson! Batman’s been overseeing Gotham City for years now and isn’t sure how much of a difference he’s making. Doubt, fear and insecurity are starting to take over. And as all of those negative feelings set in the Scarecrow orchestrates a riot at Arkham Asylum to give the Dark Knight one of his greatest challenges yet! This six-issue miniseries will see the Scarecrow in a horrifying new way that you’ll have to read to believe. Tagged cbr, comics, DC Comics, english. Bookmark the permalink.